John Mark Dempsey has served as a TSN anchor/reporter since 1998. He is an associate professor of radio-television at Texas A&M University-Commerce, near Dallas. He holds a Ph.D in educational public relations from Texas A&M University. 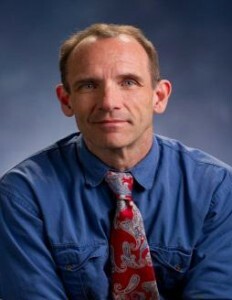 He has also served on the faculty of the University of North Texas and Texas A&M. Dr. Dempsey is the author or editor of five books: Always Connected: The Power of Broadcasting and Social Media; Eddie Barker’s Notebook: Stories That Made the News (and Some Better Ones That Didn’t! ); Sports Talk Radio in America: Its Context and Culture; The Light Crust Doughboys are on the Air! ; and The Jack Ruby Trial Revisited: The Diary of Jury Foreman Max Causey.” John Mark and wife Tricia have two children, Jenny and Mike, and live in rural Delta County.